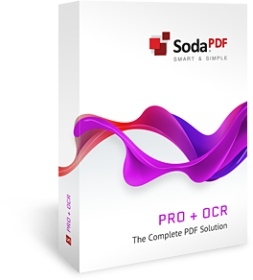 Soda PDF PRO + OCR is equipped with all the tools and features of Soda PDF Professional plus Soda’s extremely accurate OCR (Optical Character Recognition) technology. OCR opens up a host of new possibilities for your PDF documents and the way you work with them. Easily transform the text contained in images and scanned documents into searchable and editable text or create digital versions of printed documents quickly without the need to retype the content from scratch. - Reconstruction of document structure and formatting, including fonts, styles, header & footer, etc.